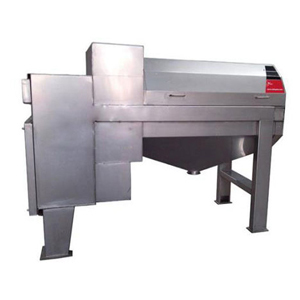 Fruit peeling and extracting machine can realize the function of peeling, coring and extracting at the same time. It adopts German advance technology. The conical type screen structure have 2-3% higher extraction rate than traditional turbo structure. This fruit peeling and extracting machine applies to fruits of different sizes, such as pineapple, orange, lemon, grape fruit, and so on. After fruit sorting and cleaning process, the fruits are fed into fruit peeling and extracting machine trough the hopper on the top. The double roller bring them to the cutting part where knives cut them into halves. 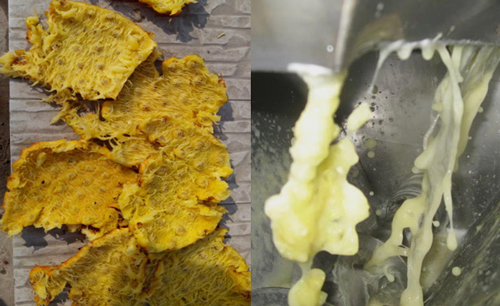 Then under the action of sieve plate involutes, 50% juice in the fruits are extracted. Next, the fruit peel and pulp are separated by a scraper. 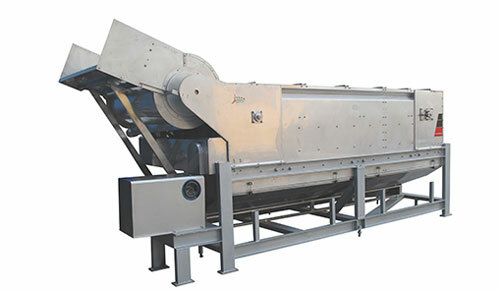 Fruit pulps are conveyed to the fruit pulping machine by a screw pump, while fruit peel and residues are discharged through the outlet by the screw conveyor. The extracted juice flows into the collection tank under the machine or gets to the juice refining machine for further processing. High working efficiency, high the juice yield, and the peel removing rate is above 98%. The cut knives can be adjusted to change the thickness of peels so as to fit different raw materials, thus reducing the waste of fruit pulp. The dimension of fruit peeling and extracting machine can be customized to adapt to requirement of clients. 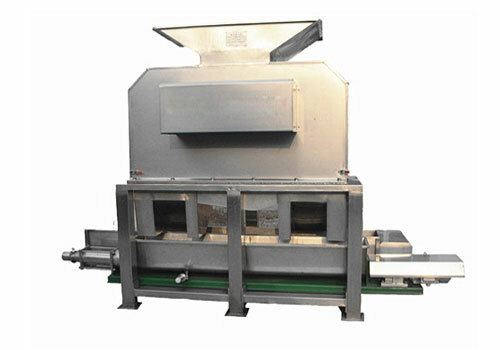 The machine features compact structure, brief exterior, firm rack, high juice yield and almost complete peeling effect.